North East artist Narbi Price presents his new work, ‘The Ashington Paintings’ inspired by the Pitmen Painters. An exhibition of work by North East artist Narbi Price inspired by the Ashington Group and his research into their methods and materials. ‘The Ashington Paintings’ has been inspired by the Pitmen Painters. This exhibition shares Narbi’s PhD research into the story, materials and methods of the Ashington Group of artists (also known as the Pitmen Painters). 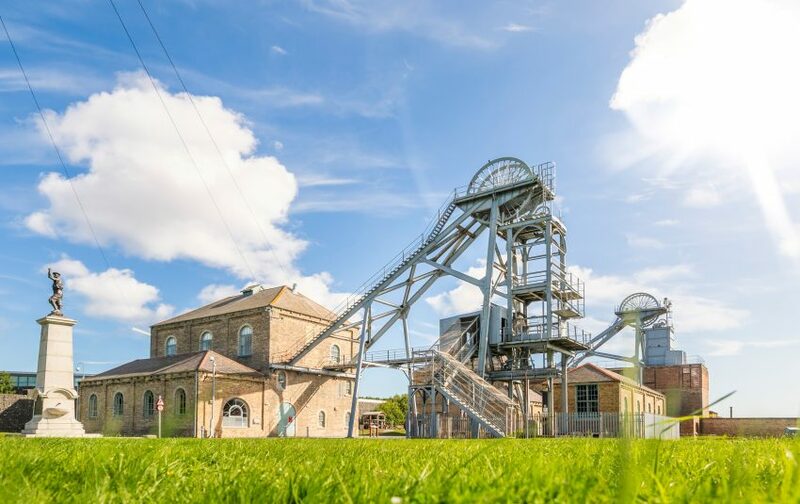 Narbi’s paintings look at Ashington today, once known as the ‘World’s Biggest Mining Village’, and which was the inspiration for the Pitmen Painters’ work. The paintings capture a modern Ashington with just a glimpse of the industrial past: the business park where Ashington Colliery once stood; the swan-filled lake replacing a monster slag heap, said to be the biggest in Europe. Paintings include ‘Untitled Bridge Painting (Spine Road)’, which depicts the site of Len Robinson’s 1975 painting ‘Wansbeck Bridge’. Other works include ‘Untitled Wall Painting (Big Red Jobbie)’ which you can find here at Woodhorn Museum; ‘Untitled Flowers Painting (Colliery)’; ‘Untitled Road Painting (Colliery)’; ‘Untitled Bus Stop Painting (Colliery)’; and ‘Untitled Trees Painting (Colliery)’ which show the sites of the five Ashington Coal Company collieries as they are today. In ‘The Ashington Paintings’, Price also explores the artistic techniques of the Pitman Painters; from the paint they used to the boards they painted upon. His work challenges the idea that the artists were naïve or amateur as their methods were both subtle and sophisticated. 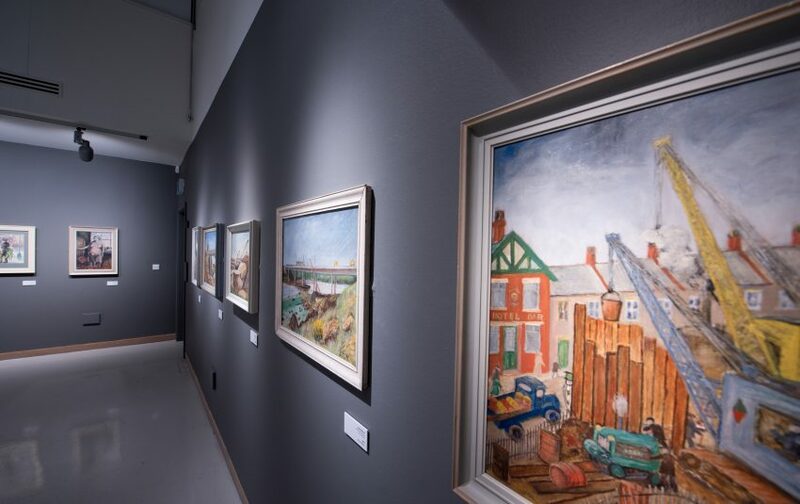 This exhibition is part of the ‘Pitmen Painters: Resurfacing’ summer season at Woodhorn Museum which celebrates and explores the story of Ashington’s Pitmen Painters. 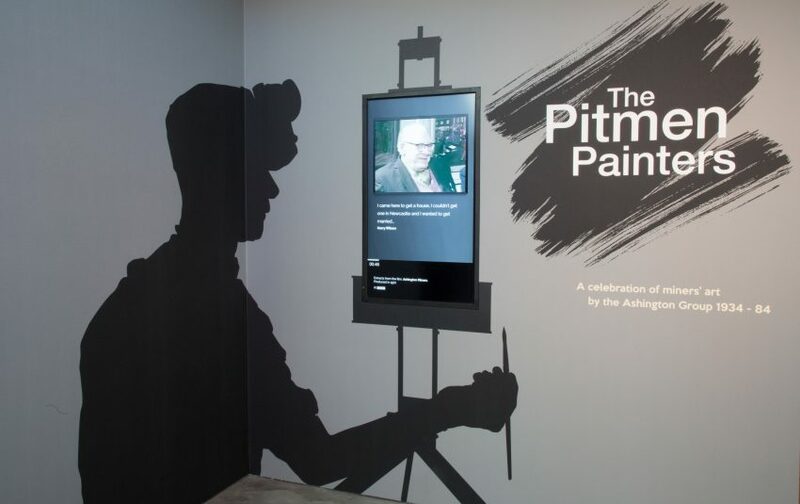 The ‘Pitmen Painters: Resurfacing’ summer season at Woodhorn Museum has been made possible through the generous support of Northumberland County Council, Arts Council England, The Ashington Group Trustees, Ashington Town Council, Newcastle University and The Arts and Humanities Research Council. This season is part of The Great Northumberland Programme and Great Exhibition of the North ‘Inspired By’ programme.